St Vincent's Diarmuid Connolly during the Dublin SFC quarter-final against Castleknock at Parnell Park. ©INPHO/Laszlo Geczo. There were victories for St Vincent’s and Lucan Sarsfields in the Dublin senior football championship tonight as both sides got their respective campaigns off to winning starts in the capital. 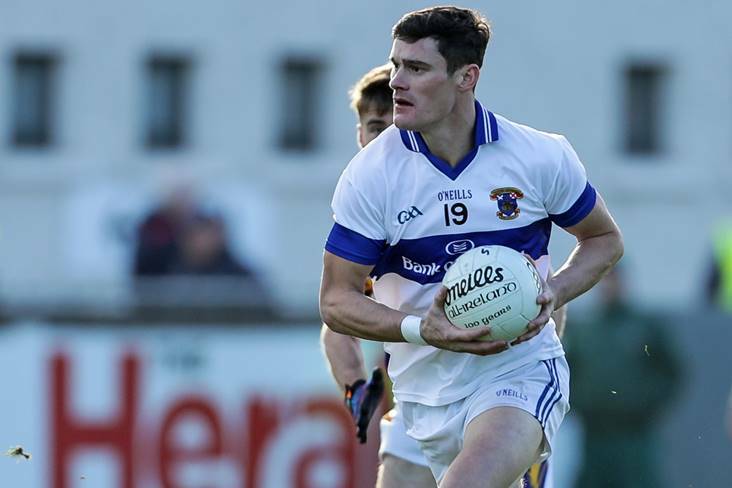 The Vins finished 1-14 to 1-6 winners over St Brigid’s at Lawless Park, where their talisman Diarmuid Connolly lined-out in an unfamiliar role at centre-back for the hour and put in another fine shift in his club’s colours. Mossy Quinn’s 36th minute penalty after a foot-block on Enda Varley put the Marino men into what proved an unassailable 1-8 to 0-3 lead, and they could even afford to ship a Philip Ryan penalty with 12 minutes to go before pulling up for a comfortable opening victory. In Garristown, Lucan Sarsfields secured an impressive 3-14 to 1-10 triumph over Skerries Harps. Having trailed by two points in the early stages, Sarsfields hit the net in the 11th minute and never looked back, taking in a 1-8 to 0-5 lead at the break before kicking on for the double digits victory.